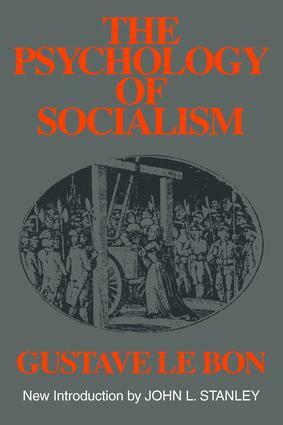 First published in 1899 during a period of crisis for French democracy, The Psychology of Socialism details Le Bon's view of socialism and radicalism primarily as religious movements. The emotionalism and hysteria of the period-especially as manifested during the Dreyfuss Affair-convinced Le Bon that most political controversy is based neither on reasoned deliberation nor rational interest, but on a psychology that partakes of contatgion andhysteria. Le Bon points to the irrationality of religion and uses the religiosity of socialism to debunk socialism as an irrational movement based on hatred and jealousy. The Economic Struggles between the Western Peoples.